Farmers' Market Vouchers are available at the Swansea Council on Aging. You MUST be a senior age 60 or older. 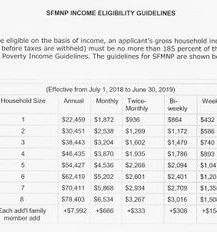 You MUST meet income and eligibility guidelines. Vouchers are limited and will be distributed on a first come, first served basis. Vouchers are made available through the USDA. See attachments below for additional details. Contact the Swansea COA at (506-676-1831 for additional details. The File of Life is something we should all have in our homes. 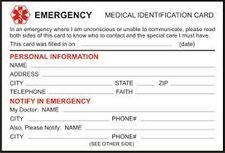 Fill out the emergency form, place it in the pouch provided and then place that magnetic pouch on your refrigerator. Emergency responders are trained to look for it when responding to your home for a medical emergency. Having immediate access may save your life should you become unable to communicate. The File of Life is available at the Swansea COA FREE of charge! The Swansea COA is pleased to announce the arrival of two NEW handicap accessible vans to better serve you. We offer transportation for doctors' appointments and grocery shopping. To schedule the van service, please call the Transportation Coordinator between the hours of 9 AM to 4 PM, Monday through Friday. Notice is required at least 24 hours prior, except in cases of emergency. In cases of emergency, we will make every attempt to accommodate your needs. Grocery shopping is available on Wednesdays or Fridays. Please keep in mind that our first priority will be for doctor appointments. To schedule your transportation, please call (508) 674-6772. Congregate Meal Site: The Swansea Council on Aging serves lunch Monday through Friday at 11:30 AM. Reservations are required at lease 24 hours in advance. There is a suggested donation of $2.00 per meal. Please visit our "Senior Scoop Newsletter" page to view our daily menu for these programs. 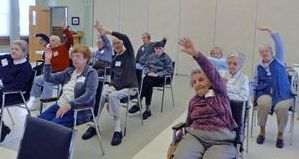 Daily Chair Exercises are held each morning at 10:30 AM. These seated exercises are perfect for any age and any level of fitness. These stretches are a great way to get your blood circulating and heart pumping! Fitness DVD's are available for your convenience. Whether you prefer to work out alone or with friends, the Swansea has a variety of DVD's and 60" television available to Swansea residents. Get fit and stay healthy with this program in our spacious lower level. We hope you'll join us for these FREE fitness programs! Free Blood Pressure screenings are offered on Wednesdays from 10 - 11 AM. Free Glucose screenings are held Wednesdays from 10 - 11 AM. We thank the Swansea Ambulance Corp., for providing this service free of charge. Medicare Part A, Part B, Parc C, Part D, MassHealth, Medigaps, Medicare Advantage, SSI, Prescription Advantage - Confused? You're not alone! SHINE (Serving Healthcare Needs of Everyone) is a program funded by the Executive Office of Elder Affairs. The purpose of the program is to ensure that Massachusetts elders have access to free, accurate, unbiased information regarding your health care options. Counselors inform elders of their rights under Medicare and assist with filing claims. Counselors also assist with filling out applications. Appointments are required and can be made by calling (800) 987-2510. If you are a Swansea resident and need one-on-one counselling, please call (508) 676-1831. Appointments are required. NOTE: There is still much confusion about Medicare Part D (Prescription Plans). Many individuals assume that once they are enrolled in a Medicare Part D plan, no further action is needed. This is NOT the case. Each and every year there are changed to your plan. 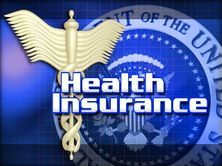 Changes could be in the removal or inclusion of prescription plans being offered, monthly premiums, co-pays and deductibles. Each year there is an open enrollment period that allows you to review your existing coverage and make necessary changes. Be proactive and be sure the plan you are in this year will meet your needs and be the most cost effective for you next year. Assistance with this is available through the SHINE program. Swansea residence may call (508) 676-1831 for an appointment. 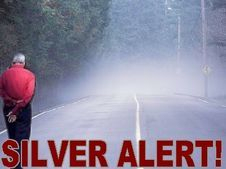 The Swansea Council on Aging (in conjunction with the Swansea Police Department) is pleased to announce a new program that will benefit seniors at risk and their families - The Silver Alert Program. It is said to be modeled after the Amber Alert Program. The Massachusetts General Laws define this program as a "community response system". Its purpose is to "alert public safety departments when an adult with serious memory impairment such as Alzheimer's disease or other dementia is reported to a police department as a missing person." It is not available in all states. Although Massachusetts law makers recognized the importance of this program and passed it into law in August, 2010, it is not presently mandated but rather is to be available pending the availability of funds. Therefore, each city/town is left to implement this program in the manner it feels best suits the needs of their community. Financial constraints upon municipalities have made it difficult to bring this service to their residents. As a result, there are still many communities throughout the Commonwealth who have not been able to bring this program to fruition. If you are a caregiver of someone afflicted with Alzheimer's disease or any other cognitive impairment, you know first hand the challenges you face in caring for your loved one. You understand better than anyone the confused state, fear and panic your loved one lives each day. As dedicated as you are to providing the best possible care, seniors with Alzheimer's disease have been known to wander from the safety of their homes. We are committed to helping you keep your loved one safe. By registering your loved one with Swansea's Silver Alert program, you enable us to help you in the event of such an emergency. For more information on this program, please call the Swansea Council on Aging at 508-676-1831 or email Executive Director, Laurie A. Pimentel. CLICK HERE to view or print your registration form. This helpful information is provided by the Alzheimer's Association. The right support group offers a lifeline for caregivers. The primary purpose of a group should be to help provide its members with emotional support as well as up to date information about the disease and caregiving skills. The combination of education and support will assist you where ever you are in your caregiving and getting to know others who truly understand what you are going through can be surprisingly helpful. Each support group is different. The format and atmosphere are created by the leaders as well as the participants. Even if it's not required, call the leader before the group meeting. Ask about the makeup and size of the group - spouses, adult children, men and women. Ask about the typical format. This is a great way to find out if you feel drawn to this particular leader and group. Ask how confidentiality is handled. All information shared at a support group should be kept strictly confidential unless it poses a risk of safety to caregiver or patient. Ask about the group leaders' experience - knowledge of Alzheimer's disease, length of time facilitating the group. If you decide to attend, this conversation will make your first meeting easier. Even if the first group you attend isn't what you want, don't get discouraged. Talk with the group leader about your reaction. Every meeting is different and it be that particular meeting was/wasn't typical of what usually happens. We all spend time finding the right hairdresser, physician or auto mechanic...it may take time to locate the support group that best meets your needs and style. Be patient, as many seasoned support members would say... "it's well worth it." There are currently over 185 Alzheimer Caregiver Support Groups meeting in Massachusetts and New Hampshire. For a full list of groups in your area, please contact the Alzheimer's Assosciation's 24/7 Helpline at 1-800-272-3900 or visit us on-line at: www.alz.org/MAHN. The Alzheimer's Association also offers other programs and services such as professional training, educational programs and care consultation. Your eye sight is nothing to fool around with. The Swansea COA has non-prescription reading glasses available to Swansea residents FREE OF CHARGE! These glasses are meant to be used as an aid and should NEVER be used to replace your prescription glasses. If your optomotrist has fitted you for prescription glass and/or contact lenses, you should always continue to use them unles otherwise directed. However, if you find yourself struggling to read the morning paper or that new novel you picked up recently, you could be staining your eyes and we may be able to help. It's never too early to protect your eyes. For mor information, or to pick up your FREE paid or non-prescription reading glasses, please stop by the COA office or call us at (508) 676-1831. No gimmicks, no tricks - It's that easy!! Take advantage of this wonderful opportunity and pick up your free glasses today!! Temporary loans of medical equipment are available at the Swansea Council on Aging. 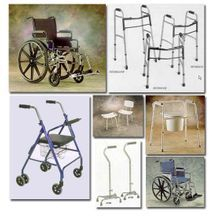 You may be able to borrow supplies such as hospital equipment, wheelchairs, canes, commodes, walkers, etc. If you or someone you know is in temporary need of medical equipment, or if you know of someone who would lke to donate equipment, please call the COA at (508) 676-1831. Any homeowner or renter who meets the income guidelines is eligible for fuel assistance through the Low-income Home Energy Assistance Program. Swansea residents may apply at the Swansea Council on Aging. Applications MUST BE completed on site and are not allowed to leave the premises. 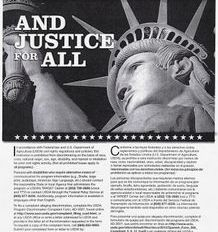 The COA can be reached by calling (508) 676-1831. An outreach worker from the COA will visit home bound seniors to help them complete the necessary forms. Assistance is available from CFC to keep your home or apartment in repair, insulated, and weather tight by calling 508-675-2157. Click HERE for the income guidelines to see if you qualify. Click HERE for a listing of documentation that will be required to submit with your application. The Swansea Council on Aging coordinates health clinics and health education services by working with the Swansea Ambulance Corp., Town Nurse, Board of Health, Southcoast Health Services and other agencies. 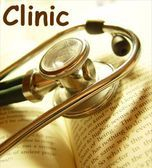 Previous clinics have included: Flu clinics; Cholesterol Screening, Hearing Clinics as well as others. Health education is also offered and has included diabetic education and other health related topics. A legal assistance program is funded by Title IIIB through Bristol Elder Services, Inc., for people 60+. The first consultation is free. Additional services may be provided without cost or at reduced rates. More information is available by contacting Seniors Law Project at (800) 244-9023 between the hours of 9am-2pm Monday through Thursday. In addition, the local phone number of (508) 676-6265 is available 9-5 Monday through Friday.